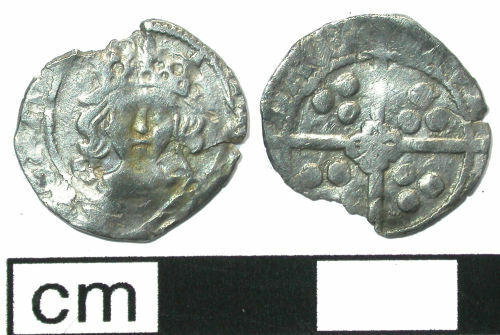 Medieval coin; silver penny of Edward IV 1st reign light coinage (1464-1470) or 2nd reign (1471-1483) or less likely Henry VI restored (1470-1471), York mint under Archbishop George Neville. Heavily clipped. Diameter (clipped) 15.5mm, weight 0.69g.